If you have had the opportunity to come to one of our events, or to visit us at origin, you might have heard about the PECA Program, or even met someone from the PECA team. It regularly draws attention from roasters who visit farms with Caravela, seeing the PECA educator greet partners and children of producers as if they were part of the family. Indeed, our PECA team has managed to develop close and long-standing relationships with many farmers, building trust and strengthening business partnership. In other words, the PECA program is the backbone of our entire business model. Why did we create PECA? We realized very early on that if we wanted to sell high quality, consistent coffee, we would have to ensure that farmers had the tools to produce it. Most of the farms we work with are small and the farmers often have restricted access to education and extremely limited financial resources. We’d seen countless importers come, pick the best coffees every year, benefiting only a handful of skilled farmers, without facilitating a means of sharing knowledge so neighbors, friends and families could also benefit from the same prices. Many farmers had little to no access to the training necessary to improve the quality of their coffee while on the other side of the world the market for specialty was growing with roasters willing to pay more for a top-quality product. Firstly, PECA’s main function is to continuously educate producers and their families on the best practices to increase their productivity and improve the quality of their coffee, in order to be more profitable. Coffee growers who work with Caravela know that the better the coffee they produce, the higher the prices they will receive. When they achieve these extra incomes, they have a wide range of opportunities to invest, not only in their farms, but also in the well-being of their families. The assistance and training offered by our team of agronomists is personalized and adapted to the particular situation of each farm, its processes, coffee varieties, and varying opportunities of each. For the PECA team to support the continuous improvement of quality, it is necessary that they work hand in hand with producers at every step of the way. For every lot coffee a producer delivers to one of our warehouses, the QC analyst carries out the respective analysis and informs the producer whether or not the coffee meets the standards set in place by Caravela. After providing feedback to the producer, the QC team gets in touch with the PECA team to analyze how the producer could improve the quality at the farm-level and then they create an action plan and a diagnosis. This involves visiting the farm, analyzing processes, evaluating tree health, and then providing feedback and assistance as to how the producer can make improvements. This constant cycle of improvement leads to a better-quality coffee, generating a higher income for the farmer and satisfying hundreds of roasters throughout the world with great tastes. However, it is not just about the cup quality of the coffee and farm productivity, we also promote the sustainable production of coffee. When we talk about sustainability, we don’t only refer to the profitability of the farm and the quality of life of the producer’s families, we also promote environmental sustainability and social terms. All the recommendations given by PECA focus on sustainable practices. We work towards minimizing and preventing challenges brought on by climate change, evidence of which can already be seen in coffee growing regions: excess of rains or droughts, extreme temperatures and shifting seasons. We encourage farmers to protect nature by promoting good farming practices such as protecting the soil by growing other trees to provide shade for coffee trees. We promote the use of sustainable pesticides certified by food safety organizations. We implement physical and cultural pest controls before applying pesticides. We promote the conservation of forests on farmland to allow for more biodiversity and microclimates. We encourage the protection of water sources through the proper and responsible use of water for farm processes. In terms of social sustainability, our PECA program emphasizes the good treatment and fair payment of workers, not exploiting their labor force and not hiring underage children. “When we provide training and education to the coffee grower, we try to explain all the benefits that this specific action will have on their coffee. For instance, implementing shade around coffee trees protects the soil, generates organic matter, adds nutrients to the soil and the shade will also help against drastic temperature change. It also tricks broca and stops it from spreading to to other coffee trees.” Explains Diana. Another objective of PECA is to engage future generations of coffee farmers. 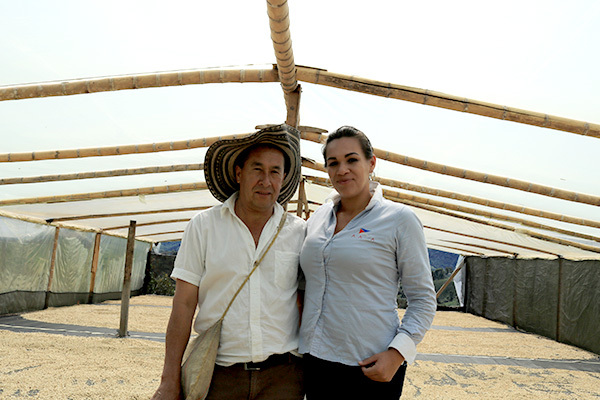 The lack of generational change is one of the main concerns in the coffee industry. The current average age of coffee growers in Latin America is of around 55-60 years old and there is a tendency that children from coffee growing families want to move to the cities. Our job is to educate these young men and women in an analytical and science-based approach, maintaining profitable farm operations, with a focus on quality and sustainability. We encourage current coffee producers to involve their whole family on the farm, to make growing coffee a family business, and convince their children to love their land and continue with what they’ve built. The best way to ensure than sons and daughters of today’s farmers continue to grow coffee, is to show them that coffee can be profitable. Amongst our producers in Colombia that are members of our PECA program, 45% have children who continue with coffee production as their main activity, compared to just 39% for those that are not members of PECA. This is something we are always looking to improve. “Every time we arrive at a farm, we try to involve the family in the training. We invite children of the producers to join us on the farm tour to listen and learn.” Says Diana. A perfect example of the impact that PECA can have on the attitudes towards producing coffee for young people is that of the Imbachi Family. 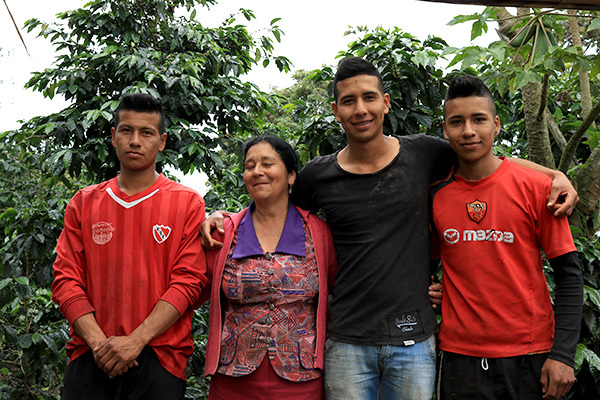 When we first met Carlos Imbachi in 2009, none of his children were particularly interested in coffee, it was just something that their father did. Over the many PECA visits this changed dramatically as everyone saw how improved quality led to a much more profitable farm. Today, Carlos’ daughter Sonia has her own farm with her husband. Son’s Diego and Ever are starting to take over and run the family farm. Meanwhile, Carlos’ other son Didier chose to take the path of cupping and is currently the Quality Assurance Coordinator at Caravela. PECA has proven to many young people that producing coffee can be a highly rewarding and profitable enterprise if done well. Today, PECA has a presence in Colombia, Ecuador, El Salvador, Guatemala, Mexico, Nicaragua and Peru. The PECA team is composed of a group of more than 30 highly skilled agronomists and technicians specialized in the production of specialty coffee. Each one of these technicians is in charge of approximately 70 small-scale coffee growers, who have an average farm size of 4-5 hectares. They visit each producer, on average, eight times a year. In 2017, our PECA educators traveled more than 470,000 kilometers, carrying out more than 6,200 technical visits and training more than 1,700 coffee growers. The program has absolutely no cost to the coffee grower. The PECA team carries out these trainings permanently throughout the whole year and the topic of each training depends on the time of the year and the harvest status. Part of the PECA program functions is to implement different and dynamic methodologies when these trainings and educational sessions with coffee growers. For this reason, we have created different sub-programs in the PECA program like the ECAS (Farmer Field Schools) which focuses on educating in an interactive and demonstrative manner. Most of these ECAS are held at farms, with a group of growers from the region where they address different issues and discussions, sharing their own experiences. This program started in 2017, and in this same year, there were more than 200 ECAS carried out in Colombia, Peru, Ecuador, Guatemala, and El Salvador with more than 4,000 farmers attending. We also offer courses at our purchasing points where farmers can attend with their families. 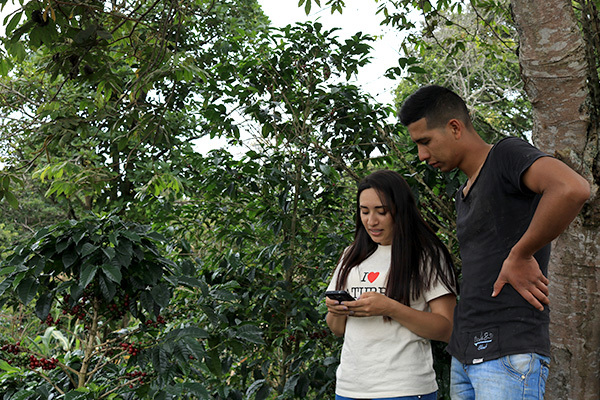 In La Plata, Huila, Colombia, we currently offer an e-learning opportunity with computers, videos, and resources for farmers and their families to come and learn. More than just our educational arm, PECA is also our Research and Development department. They are constantly carrying out new experiments and research, hand-in-hand with coffee producers, in order to pass on knowledge and new techniques to other farmers. The PECA team is constantly visiting farms, which makes them our eyes and ears of the day-to-day occurrences on the farms. Our PECA team facilitates narrowing the gap between farmer and customers. It is our PECA team who brings stories and photos of these coffee growing families to the coffee roasters. This guarantees better transparency and traceability for our customers. PECA is not a project, nor an NGO, it is a vital part of our business model, and one of the primary reasons we have been awarded platinum status and Best for the World company by BCorp four years in a row. We continue to invest and expand our program every year, and we will continue to do so.